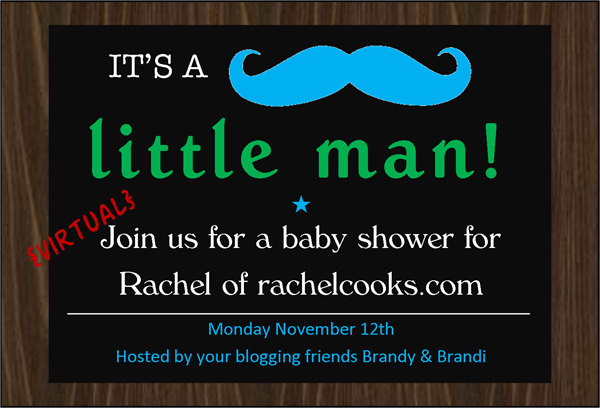 See, the lovely Rachel from Rachel Cooks is expecting her second child. Her little man is scheduled to make his debut in December. With her due date nearing, it’s time to celebrate with a surprise virtual baby shower. Surprise, Rachel! And congratulations. As many of you know, I have two kids myself. They are the best of friends. Will, 7, and Paige, 5, wake up every morning and play together. They create elaborate games of the imagination, and have a blast. And almost every night, Will reads to Paige before bedtime. They help each other out (though sometimes that backfires a little … like when they “put away” laundry by stuffing it wherever they think I won’t find it). And whether it’s on the bus or at home, they are always looking out for each other. Of course they have their moments, but most of the time they are best buds. It’s amazing. Rachel, having two is simply magical. You’re going to love it. This adorable invitation was designed by Susan from Farmgirl Gourmet. So, what am I bringing to the virtual party? 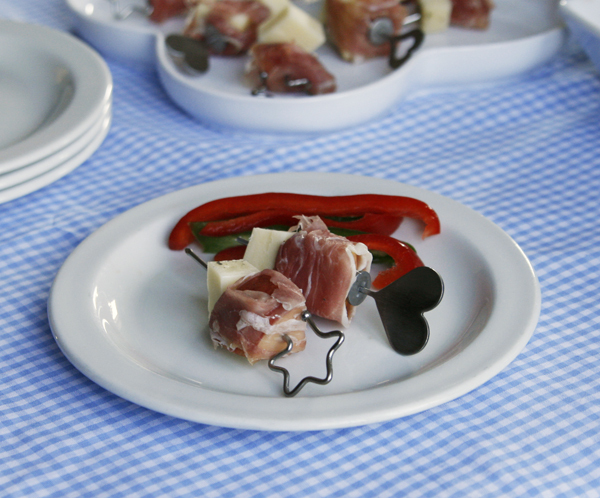 Apple Asiago Prosciutto Bites — a fun and easy appetizer that’s a perfect little bite. Not only are these just right for a baby shower (virtual or otherwise), but they are a fantastic quick and easy appetizer for Thanksgiving too. Totally stress-free to prepare. These little bites literally take no more than five or 10 minutes to make with three simple ingredients. Seriously super easy. You cut an apple into chunks. 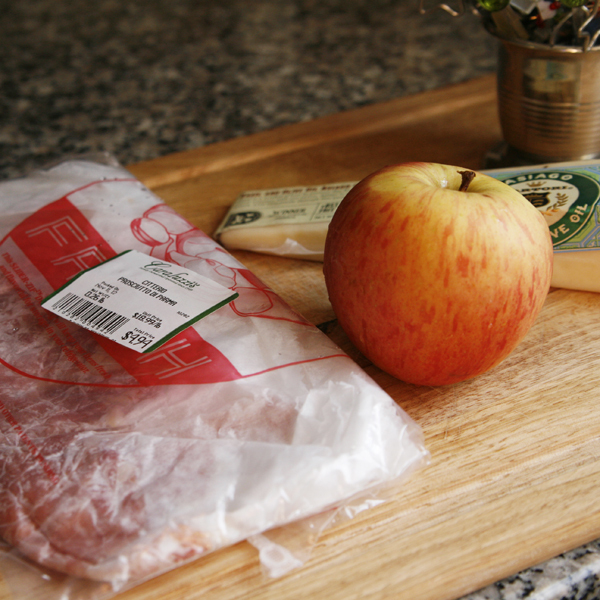 Wrap each piece into prosciutto. Skewer it with a piece of asiago. Done. It’s a flavorful little bite — salty, sweet and sharp all at once. Enjoy — and congrats again, Rachel! Cut the apple into 24 chunks. 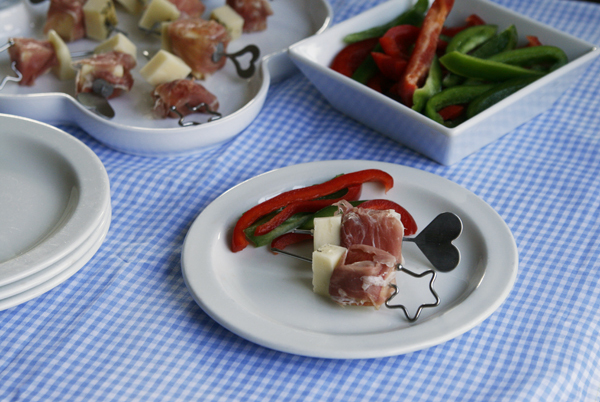 Wrap each one in half a slice of prosciutto and thread onto a toothpick. Add a 1/4-ounce chunk of asiago. Chill until ready to serve (don't make more than 30 minutes in advance though). These look awesome! They’d be a great appetizer for a girls night! Thanks for the idea! Yes! With a cocktail — they’d be perfect for that too! I love fun little appetizers like these! Perfect for holiday entertaining! That sounds so delicious!! Perfect for the holiday season too! Definitely. I think these might be part of my Thanksgiving appetizers spread this year. Love these delicious little bite sized goodies! Thank you!! So glad to be partying with you today! Yum! These sound like the perfect little appetizer!! Thank you, Deborah! My kids had a blast eating them yesterday. I love a good bite-sized app. You are new to me too, Sheila! So glad I got to “meet” you today! I’m a fiend for cheese, so I’d be all over these. Love the skewers, too. Thanks, Donna! I bought them from another blogger’s popup shop. They sound simple and perfect…but I can’t help but notice the skewers…love! What a great flavor combination. Asiago is a favorite of mine! These look awesome! I’m pretty much a sucker for anything with prosciutto. Thank you so much for being a part of this special day! So simple and so delicious! Yum! These sound like the absolute perfect bite! That looks easy and perfect. I so need to remember that for my next shindig. What a tasty little bite, these would be so great for any party! Two of my favorite things in one bite? Perfect! 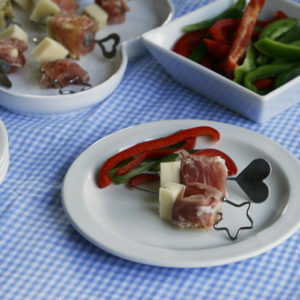 Cheese and prosciutto – YUM! I love this combo and I love that it’s an app! !